One of my new, wonderful friends in Santa Barbara, Jenna, sent me an email a little over a month ago alerting me to this conference. I was SO excited about an event where Christians were talking about food issues, because seeing that combo come together has been a passion of mine for a number of years now. I also happen to think gluttony is the last acceptable sin in the church (at the cost of oppressing the ‘least of these’) and, as a whole, we Christians are getting schooled on creation-care by our hippy counterparts. So it was a real encouragement to hear that the Vision Forum was tackling this mighty subject. So within 3 days from receiving the email, God confirmed that I was to go by providing a thumbs up from the hubs and the financial means! (Thanks to Papa Billy for the frequent flyer miles, Wayne and Nanne Alvarez for their generous Texan hospitality, an anonymous donor, and birthday money!) 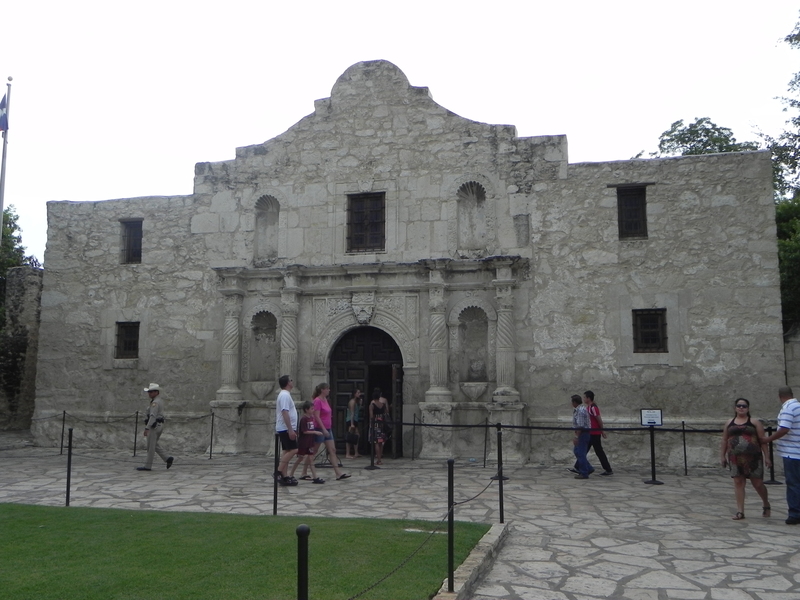 So I have just returned from San Antonio after an interesting and incredible experience, with a full head and heart. Many of you who knew I was going have asked for details, so in this post I will share my impressions, a review, and a list of tantalizing topics to come. Let’s just start with a little Texas shout-out. I’ve only had the pleasure of going to this “state that had the audacity to become a separate country” a few times and the bigness, pride, and heat are always apparent. 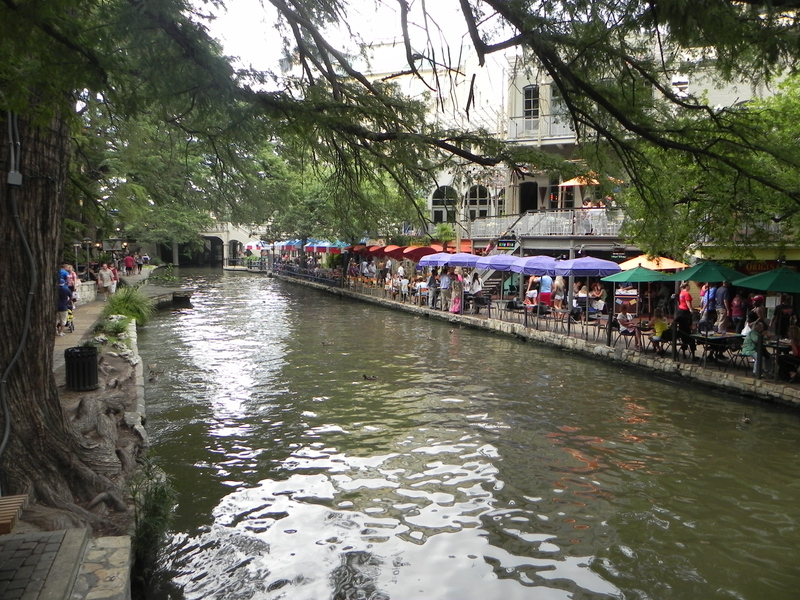 I saw a bumper sticker that says it all, “I wasn’t born in Texas, but I got here as fast as I could!” And San Antonio, the lesser known of the big Texas cities, had an extremely charming downtown area including the oasis-y River Walk. I also visited The Alamo and feel better now that my understanding of this part of history comes from more than just Pee Wee’s Big Adventure. A few of them performed musical numbers for the crowd and they were very gifted singers and musicians. If you’ve never heard a dueling banjo performance, write it on your bucket list pronto. I still have some questions about the Dominion Mandate and Quiverfull followers, but overall, came away appreciating their hearts toward God and respecting their way of life. Now to the “meat” of the post… My head and heart (and stomach) are full. It was encouraging to be in a room full of Christians talking about issues that matter. I was actually emotional after Joel Salatin’s first talk because he put into words the way I have felt for a long time. He feels like he has each foot in 2 different worlds (generally speaking): Great, loving Christian friends who honestly don’t think that food matters to God and therefore miss seeing any personal or global consequences, and friends who do think food issues matter and try to make wise choices accordingly but don’t acknowledge or a have a relationship with God. I’ve always felt that I am supposed to be a bridge builder between these two (again, very generalized) groups and provide opportunities for us to learn from, rather than judge, one another. Can We Feed the World Sustainably? (Including how food and science do not make great bed fellows.) Why not start with an easy one, eh? Interesting Events on the Food History Timeline – Past is prologue, people. Food According to the Bible: Feasts, Heresies and How the Church Can Respond – This is gonna hurt a li’l bit…but it’s worth it. How Then Shall We Eat? No stringent rules here, just lots of opportunities to glorify and appreciate God. Sabbath, Hospitality and the Family Table – GREAT ideas that celebrate God, food, celebration, rest, and relationships. I reserve the right to change things as I go along and disclaim right now that very few of the coming ideas are original to me. I’m not a farmer or a theologian or a chef or a Republican or a Democrat, just a girl who is passionate about glorifying God in ALL things and gifted at sharing these awesome ideas with others. I also hope that the non-God-oriented readers can stick with me as I mean you no harm and want to learn from you as well. Truth is truth no matter who is promoting it. I hope that, overall, these ideas will speak to those who need and want to hear them. We can all afford to grow and each of us only has to start where we are. On a scale of 1 to 10 (1 being “totally turned off” and 10 being “I’m so excited!”), how do you feel about this upcoming topic series? 10- Excited to hear more! 10X10 – I’m looking forward to the rest of the story! Dragging along, rolling my eyes with a 7 – “ugh…now it’s time to learn”. Very excited to hear more. Surprised by the attendee profile 🙂 look fwd to following ur blog! I have to say an 11, just because my heart is bursting with joy over this, as it is an answer to prayer and I am just so excited about believers getting on board with this. So, thank you so much Melanie for following your passions and changing the world!!! Awesome Mel! I am so proud of you and blessed by all the things God is showing you. What you have shared so, far has a tremendous impact on my family. Sending hugs to you this day! definitely excited! thanks for remembering to add me to your list! 10! Excited for this new venture for you, Mel! 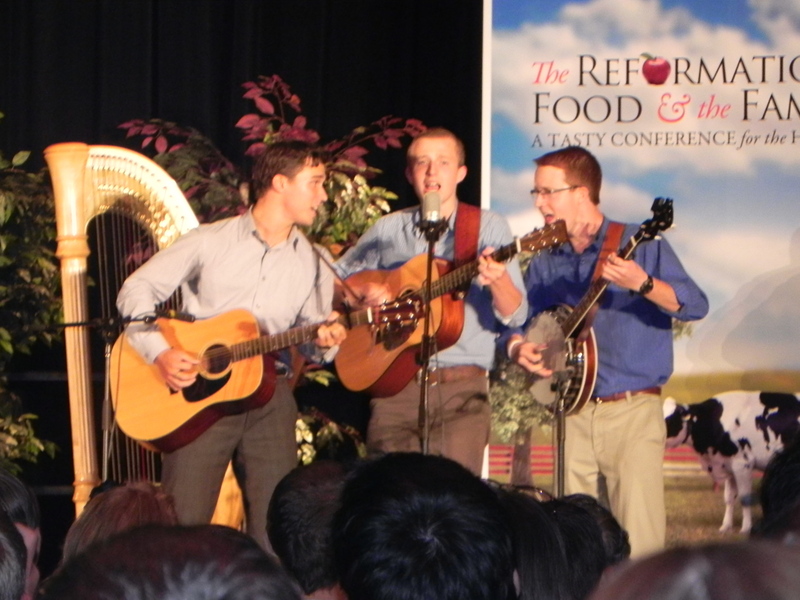 We really wanted to go to this conference, but because we do raise and grow much of our own food, we had to stay home. 🙂 We live on a small farm and have been trying to spread the word on this topic for about 15 years. I say shout it out. Even if only 2 people listened and learn, that is 2 more people who will help to share the information. What a great article about a conference I would have loved to attend. We grow and preserve alot of our own food, including rabbit, goat milk, chickens. We buy grass feed beef from friends and live a lovely simple life and try to serve God. Thank you for your blog. I’m looking forward to more from you. ps- I’m a resource junkie too. Glad to meet another! Umm 1! Simply because you sound uneducated and the WHOLE damn post took you ten pages to get to a 30 second summary piece! Literally harkens me back to a seventh grader, trying to sound poetic and educated, but comes across flat, long-winded and dull. Short and to the point people!!! Ohh, and your “I reserve the right” comment makes you sound arrogant and like a monster bitznatch!! Whether that be true or not, is not the point, it is how you are perceived that is… Think abou that before you write again. Best o’ luck! I definitely agree that long-windedness is my lifelong sorrow. In this post in particular, it’s hard to walk the line of succinctly sharing information with others while also trying to record and reflect on your own personal journey. But I don’t receive the uneducated comment. There are all kinds of ways to be educated and I have gone the traditional route with a master’s degree in Speech Communication (where my thesis committee thanked me for being a good writer, BTW.) But more importantly, I am a raging, lifelong autodidact and it shows. I am many things, but dull and flat are not two of them. I could comment negatively on my perceptions of you, grammar/spelling issues, etc. but I don’t care, because you made your points clearly and I am aware of the benefits and challenges of blogging to a diverse audience. But thanks for making me feel like the read deal!